Exposure's Toro MK6 comes with some great updates including a OLED Status Display that gives you battery life on screen. 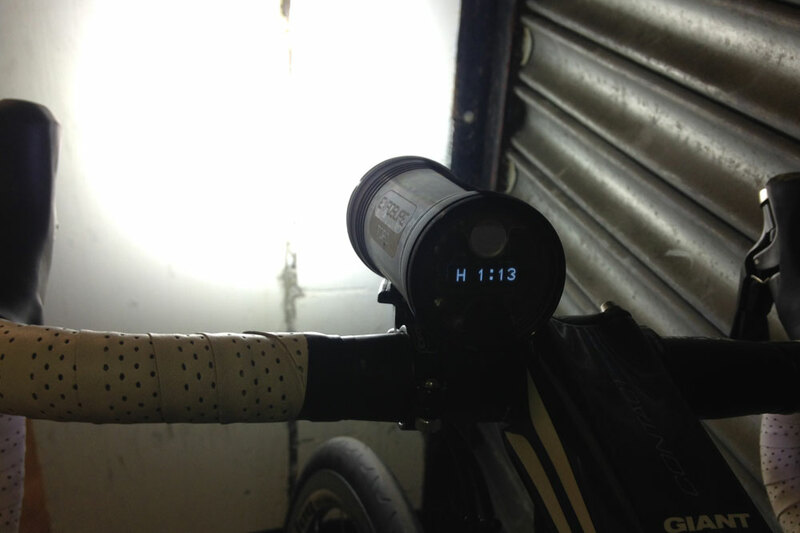 Riding at night can be stressful, worrying about how long your light will last and if it’s bright enough. The Toro covers both these bases with ease. Its simple OLED Status Display tells you how much charge is left and subsequent riding time on all four of its settings, meaning you can rest assured that you’ll be lit up during your ride. Designed for mountain biking, its 1,800 lumens light the road well, even on the lowest setting. The flash mode is great for commutes and the inbuilt ‘reflex technology’ senses your riding, adjusting the brightness so as to maintain optimum battery life. To make life simpler the handy ‘touch anywhere’ casing means switching between modes is easy, even with a gloved finger. As with all Exposure lights the Toro is one sleek unit, so there’s no extra battery pack to attach. Catering for home and work the Toro comes with a USB and socket charger so you can ensure you’re fully charged wherever you are.